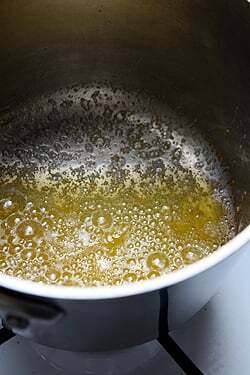 Clarified butter is used when you’ll be frying something either for an extended period or over high heat. For those times when you want the flavor of butter, rather than oil, you’ll want to use clarified butter can stand being cooked longer, and to a higher temperature, than regular butter. 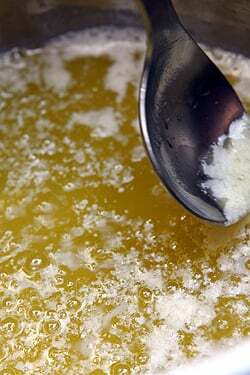 Clarifying butter removes the milk solids, which are what causes the butter to burn if cooked for a long time. 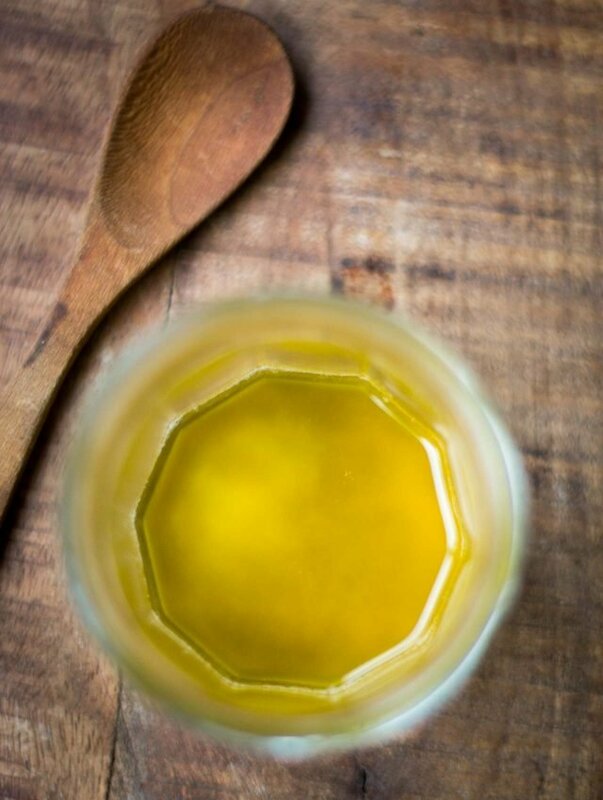 Many Indian cooks use ghee, which is similar, except it’s usually been cooked longer to decrease the moisture and deepen the flavor, and is sometimes seasoned with turmeric, fenugreek, or another spice. 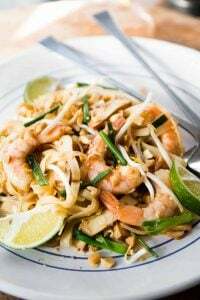 But in its plain form, it’s interchangeable in recipes that call for clarified butter and can be found in markets that specialize in Indian cooking or online. Be sure to use unsalted butter. And use a good quality one—you’ll notice the difference once it’s reduced down. You can clarify any quantity of butter than you wish. If you want to make a specific quantity for a recipe, figure that you’ll lose about 25% of the volume of butter. So for example, if you start with 4 ounces (115gr) of butter, you’ll end up with approximately 3 ounces (85gr) of clarified butter. A little jar of clarified butter in the refrigerator is nice to have on hand for scrambling eggs, frying meats, fish, and vegetables in a skillet, or stirring into a pot of just-cooked rice. It’s sometimes called into play in the pastry kitchen as well. 1. 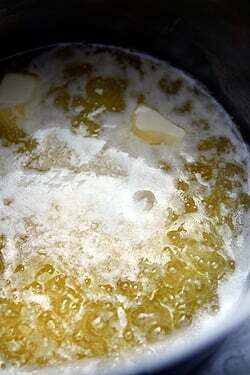 Heat the unsalted butter in a heavy-duty saucepan over very low heat, until it’s melted. 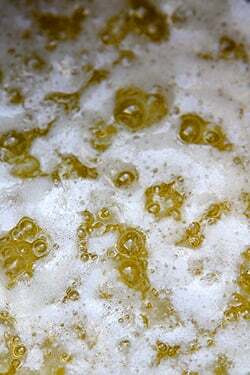 Let simmer gently until the foam rises to the top of the melted butter. The butter may splatter a bit, so be careful. 2. Once the butter stops spluttering, and no more foam seems to be rising to the surface, remove from heat and skim off the foam with a spoon. (It can be saved and added to soups, bread doughs, polenta, pilaf, or a bowl of warm oatmeal.) Don’t worry about getting every last bit; you can remove the rest when straining it. 3. 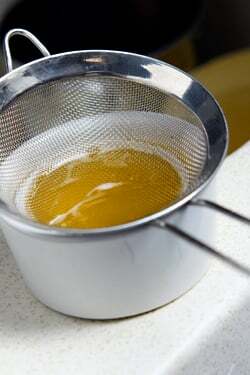 Line a mesh strainer with a few layers of cheesecloth or gauze, and set the strainer over a heatproof container. 4. 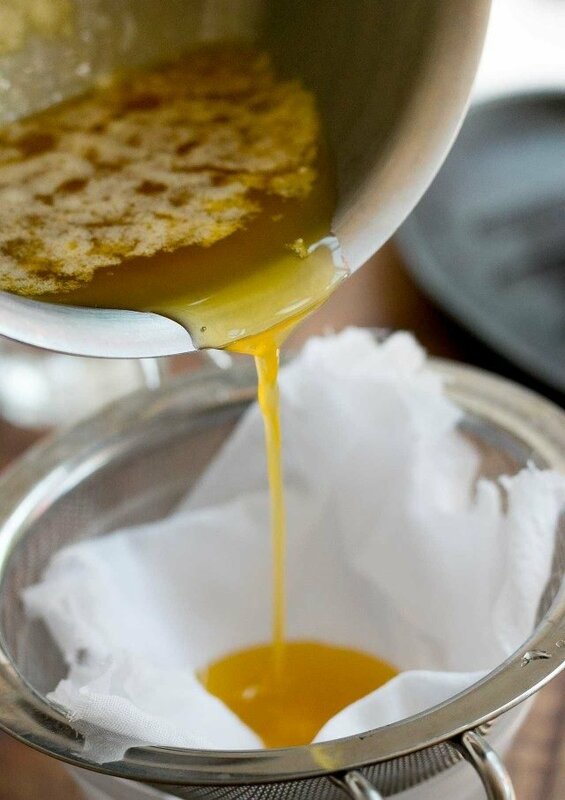 Carefully pour the warm butter through the cheesecloth-lined strainer into the container, leaving behind any solids from the bottom of the pan. Storage: Clarified butter will keep for 3 to 6 months in the refrigerator. Some say you can leave it at room temperature if the conditions are optimal, but I keep mine under refrigeration. It can also be frozen for a similar length of time. Note: If you continue to cook the butter in step #2, it’ll turn a nutty-brown color and take on a pleasant aroma, which the French call beurre noisette, because of the nut-like smell and taste. You can use it right away as is, with or without the foam, and it’s wonderful drizzled over steamed vegetables. Is it terrible that when I was a little kid, I used to eat spoonfuls of the fresh ghee my grandmother used to make? To this day, I think the nuttinessand hint of browned butter in ghee and clarified butter beats regular butter all hollow. 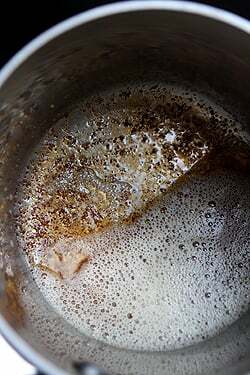 I also never strain out the clarified butter because I love the taste of the burnt solids at the bottom of the pot — I could eat those all day long. 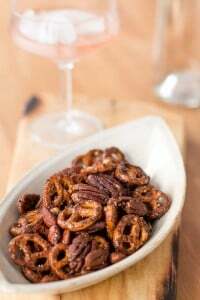 I hope this post means that your next dessert recipe is going to use clarified butter . . . . I just recently discovered ghee…and oh gosh, it is the best thing ever. I can’t believe I went so long without it! 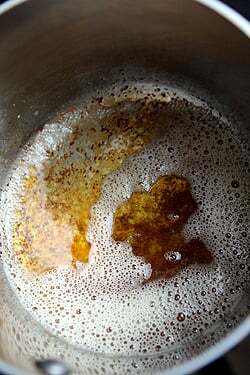 I like to use clarified butter for sauteeing, especially when I want a nice pan sauce to accompany whatever meat, fish or chicken I am preparing. If I am cooking dishes with layers of flavors fro long periods, than regular unsalted butter is fine. Clarified butter has a more refined taste. In the long list of pastries with nutty-brown butter, I love les financiers but I do not know their English name. This buttery/nutty flavor really gives something to the dough, especially when baked. I want to echo what another commenter said and ask…is clarified butter a substitute for regular butter in things like baking etc? I use clarified butter for it’s ease in keeping things from sticking to my pan. David, you are correct that ghee is cooked longer and as a result often gets a darker and more nutty flavor. 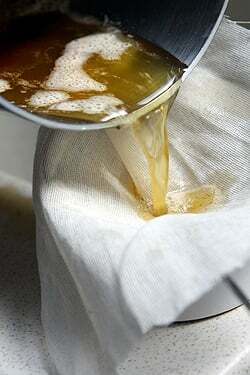 Almost every culture has some form of clarified butter and how it’s used. One of the more useful things that butter can offer! David, if I may answer… Yes clarified butter IS safe for lactose-intolerant people. Just be sure that the milk solids are completely removed such as David indicates, a cheesecloth-lined strainer. This is good to know. I tried clarified butter once before I knew how fast it can brown and ended up with browned butter, and threw it out! I didn’t know any better then, so I don’t hold it against me! Then, once I made browned butter deliberately, I went back into my recipe collection and remade everything I loved that was vanilla flavored from shortbread, to poundcake, to pancakes and loved them all even more! The biggest improvement was to chocolate chip cookies. I had to whip most of the browned butter with regular butter to get it back to a softend butter consistancy, but it only used a few tbsps more regular to get it there. What a difference it made to the flavor! I prefer them with fewer chocolate chips now so I can taste more of the delectable cookie. 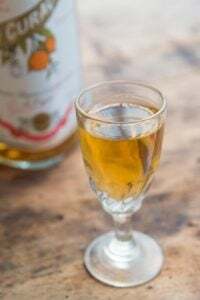 FortWorthGuy: Because it’s had quite of bit of the moisture removed, I would only use it in applications like American-style puddings, frying fruit or in place of regular butter in an upside-down cake topping. For batters and doughs, the results will vary from what’s originally intended so I wouldn’t recommend it. But if you have certain recipes you want to try it in, I’d be interested in hearing about the results. Hannah: I’m unsure if clarified butter is easy to digest for the lactose intolerant than regular butter, but would imagine that cultured butter (made from fermented cream) might be one option, since cultures often break down lactose and presumably make it more digestible. It’s often labeled in the states “European-style” butter. Glenn offered a suggestion in his comment above, as well. 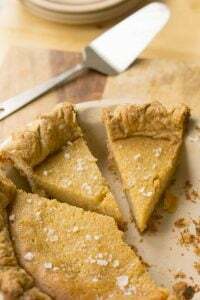 Akila: Browned butter is indeed, wonderful! Does ghee go solid in room temperature? I buy mine from the Indian grocery store and it’s always in whipped solid form. I used my favourite cultured butter (Carlsbourg) to make a burnt butter sauce one time, but would never do it again. It spat like a snake, then completely burnt – in a bad way – within a second or two. Is it wrong to use cultured butter this way? I’ve never had the problem with regular unsalted. Just wanted to thank you for this information. Very helpful for someone who is still learning the basics of cooking! thank you. This is a perfect spread for bread or coating for popcorn…or your fingers! Thanks for the great step by step, David. I look forward to adding this to my repertoire and all of the delicious things that will come from it. Thank you for this. I have made clarified and brown butter before, but I’m never quite sure I’m doing it right. The pictures really help! I have strong memories of my mum’s ghee making procedure when I was little. She had this white glazed ceramic pot. It stayed in the fridge and in that she saved several days of skimmed cream off the top of the milk that the milkman delivered every morning. When the pot was full, she churned the lot to separate out the butter, which she then left heating on the hob to make her own ghee. The house smelled of it for hours but nothing, nothing tasted better than than nutty golden liquid, on practically anything! Ghee is truly amazing stuff. Indian sweets especially owe their rich flavour to it and a smidge of it on the simplest dal elevates it to the food of the gods. Yum! 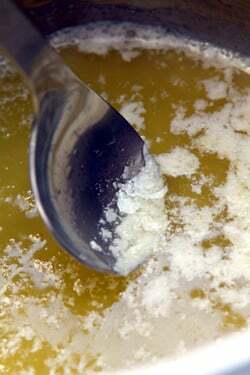 I always have ghee in my kitchen, I use a dab of it when popping spice mixtures for lentil or rice dishes. Adds a great flavor boost. I’ve used browned butter in cake recipes but only if they specifically called for it. 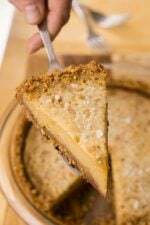 Do you know if there is a rule of thumb to substitute browned butter for regular? Say, in buttercream frosting? In New York there’s a bakery that makes a great frosting for what they call their “burnt butter” cupcake, and I was wondering how to replicate that at home. If you’re making something where it’s not vital every last tiny bit of milk solid, I’ve found you can just let it return to room temperature and then scoop the milk solids off the top. I always had a terrible time with spoons and strainers and have found this technique works “good enough”. Also, all of my family’s Greek recipes that use phylo call for clarified butter. I hadn’t understood the reasoning, but I had noticed when I didn’t clarify the butter my spanikopeta it turned out soggy. Thanks, for the insight. I have to second whoever said beurre noisette on popcorn. Unbelievable. All the kids in the neighborhood think I make the best popcorn because I let the butter brown. They don’t know what it is, but they’re always asking for it. Does this process remove all of the milk proteins too? I’m allergic to dairy (which is to say the problem is the dairy proteins, not the sugar as with those who are lactose intolerant) and this has always been my hesitation with ghee. You sure make it look easy! 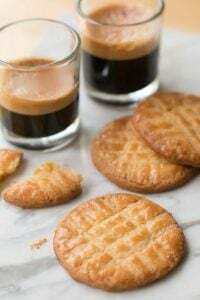 Here in Australia (and probably elsewhere, too) we use butter at the buerre noisette stage to make tasty little biscuits (cookies) called Burnt Butter Biscuits! My aunt was a whizz at those! First fab shot of half-clothed butter? Shivers! shivers of ecstasy and anticipation. The milk solids that are left behind in the cheese cloth … don’t toss them. Instead, spread on toast or bread for a tasty little treat. This is especially good if you have made beurre noisette. 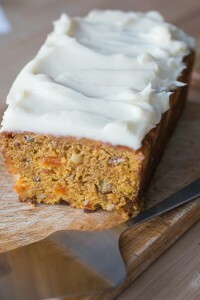 The browned bits have a toasty flavor and make for a nice spread at tea time. There is never enough of this treat, so it is best enjoyed alone as an indulgence. Clarified butter works well with mashed lentils and warm rice. This is a balanced yet a light nutritious meal because it has carbohydrates (rice), proteins (in lentils), and useful fat (butter or ghee). Clarified butter also works well with recipes that use cardamom. I take a little butter and melt in the microwave in a small cup, then spoon off the solids. Heat that in a frying pan on med-high and throw in the best, largest sea scallops you can find, seasoned with salt & pepper. Don’t move them at all! Turn after 2-3 minutes and repeat. You will have scrumptious seared, restaurant-quality scallops, especially if you bought them off the boat in South Carolina. And it lasts just forever! Elodie: You can find it at any of the Indian and Sri Lankan stores up behind the gare du Nord at La Chapelle. There’s a particularly good one called VT store, at 11 rue de Cail. My husband’s boss’s wife (got that? :) ), being Gujarati, gave me an Indian cooking lesson once. I treasure it! She taught me how to make ghee and I’ve never had to buy it. So easy. I don’t refrigerate ours, but am careful to use a sterilized jar and always use a clean spoon or knife to get it out of the jar. We eat Indian food quite a bit since my husband is vegetarian so it doesn’t last long around our house. In the town of Pérouges, they make a dessert — ‘Galette de Pérouges’. This is basically a sweet brioche “pizza” topped with butter and sugar. 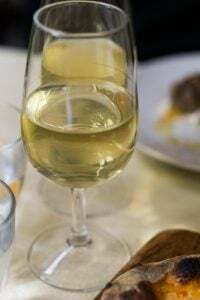 But in the Hostellerie du Vieux-Pérouges, instead of smearing the top with butter, they instead used the “lees” from making clarified butter; the galette is then served with crème fraiche. The result is far greater than the sum of its parts. So save that stuff that you skimmed off, and make a galette. The NY Times recipe you can get via Google is excellent. Interesting! I never knew butter was so versatile. I will have to file this post away for future reference. I just had to let you know that I’ve finished reading your Sweet Life in Paris and so wish I had done so before having visited Paris. I don’t know why it took me so long to purchase it, but I had to stop myself from completely reading it in one sitting. Thank you for such a delightfully funny and insightful read. Very useful post – I make a lot of curries but can never find ghee in the supermarket. Looks like it’s very easy to make your own. This stuff is so great. I love it. I find that as well as tolerating higher temperatures and longer cooking times it also browns things beautifully. Very evenly. I recently used it to fry thinly sliced ficelle for an hors d’oeuvre I was making. Worked like a charm. You were reading my mind! I just got back from a trip to India, and everyone there told me making my own ghee was super easy. Hadn’t attempted it yet because I was envisioning a blackened, smoking pan. (I don’t know where I get these visuals.) Your pictures do make it seem easy. I’ve got some good butter in the fridge — going to try it tomorrow! I love cooking with ghee! I’m lucky to live in Los Angeles, near the Little India so I have ready access to many wonderful Indian ingredients. Great post on a widely misunderstood product! how serendipitous, i just bought some ghee and used it in a little baking experiment of mine. i am allergic to cow milk, its products and bi-products. finding a substitute for butter in baking has been a challenge. nothing provides quite the texture that butter does. so i substituted ghee for butter in a straight across substitution 4oz for 4oz in a recipe for chocolate chip cookies. the texture is similar, but the flavor is very buttery, like concentrated butter. not that i’m complaining, mind you. but i may do a combination of ghee and shortening next time. ghee is ridiculously expensive, [$6 for 7.5oz for the cheapest i could find] so i was casting around for a how to make your own, and viola! and, while clarified butter and ghee is “technically” okay for the lactose intollerant and those with milk allergies, the reality is that some milk solids will remain and if you may have symptoms depending on your sensitivity. Would it be wrong if I thanked you… for the clarification?? Bad puns aside, making clarified butter is a skill to be learned! Not only is it cheaper than buying ghee, but I love the fact that it gives me the ultimate in quality control. Cook’s Illustrated had a recipe for a chocolate chip cookie made with browned butter. It imparted a nutty flavor to the batter (very tasty). 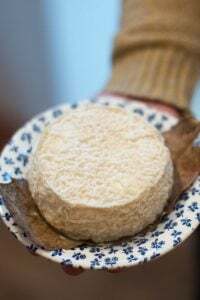 David – If and when I ever make it back to France, I am going to have to bring an extra suitcase to fill with contraband raw cheeses and lots of that amazing-looking French butter. It’s so pretty, I can only imagine that it tastes incredible. @Dawn (Kitchen Travels), my local markets, even the more gourmet/organic/woo woo ones, don’t feature goat milk butter. i do rock the goat cheese, though, so i’ll keep my eyes opened for goat butter. does it have the same kind of sharp quality that many goat cheeses have? Leave it to the French to have pretty cubes of butter …. Wow, I am glad to find this recipe here. We Indians live in ghee and the last settlements calls for a number of simple relishes. At the end of cooking the butter to this stage save 3/4 teaspoonfuls and add a bunch of fresh drumstick leaves and fry them If you can’t find drumstick leaves add spinach with little sea salt. Fry until th leaves crisp up. And eat them after cooling them a bit. It was one of most amazing food I have tasted. Also the leftover solids when still hot will be mixed with a handful or two of ragi flour and sugar. Without getting them to the stove or on very low flame fry them the flour in the solids a little and take it off the stove, add sugar and eat it! Many Indian moms drag their kids for the leftover-ghee relishes from their play time! I use the left overs on some fresh warm stove top popcorn. YUM! Does clarifying butter reduce its cholesterol content? This is really a helpful tutorial. I grew up having clarified butter as constant thing at our place and we used it for so many different dishes. I learned how to make it at a very early age. Love the flavor way better than regular butter, and without the deposits, it is so much healthier. It goes so well with most veggies and potatoes. 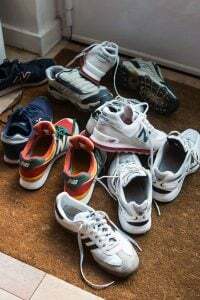 It was fun to read your blog and be instantly transported back to my roots! Thanks. It is the color and density of lemonade and solidifies very fast. I again tried your recipe, David, but still got the same result, lemonade. I used Land o’Lakes unsalted, President and KerryGold brands, all turned out the same. What’s different about french butter? I would love to hear your opinion. 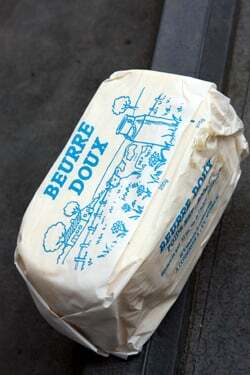 Nina: French butter has a slightly higher fat content, but this butter did become solid at room temperature. Since you generally melt clarified butter (as it’s meant for cooking) I’m not sure if this makes a difference. Perhaps it was the ambient temperature? Btw: President butter isn’t all that great. In the states, if you’re going to spend the money, try a brand like Vermont Butter and Cheese, although I like Land ‘O Lakes, too. Back home in India, my mum would make her own ghee. When it was done, she would skim all the burnt solids and mix it with sugar for me to relish! David: Do baked goods, like cookies, keep longer when clarified butter is substituted for butter? When I keep cookies in a jar on the bench top they smell rancid within a few days. I was hoping that removing the milk solids may prevent this from happening. Also, would I need to reduce the amount of butter in the recipe? David – I just made this, for a batch of madelines I plan to make in a couple of hours. I personally found that when I clarified it, I ended up with only half as much butters as I originally used. That said, I had more than enough, and thank you for the method.